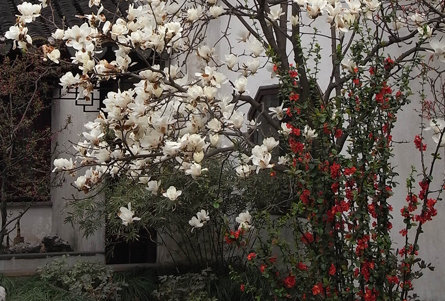 It takes a deep understanding of tradition to create a true oriental garden. But the lessons of eastern garden designs - especially their illusion of space - are useful in our ever-smaller urban gardens in the West. The palette of Japanese and Chinese gardens is restrained. Materials are carefully balanced to recreate nature, although a highly controlled and stylised representation. Stone also appears as steppers, water basins, bridges, lanterns and as carefully placed sculptures symbolising features of the natural world. 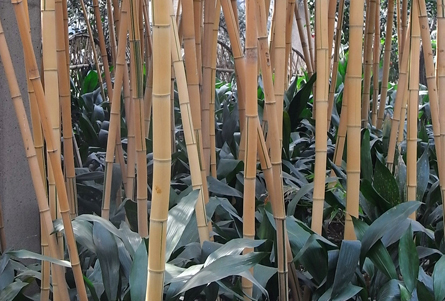 Woven bamboo is found in fences and screens, and gates are used as a frame for focal points and a connection between areas rather than a barrier. Pots are often glazed and designs based on crane, dragon or turtle motifs. While Eastern gardens are enclosed to encourage introspection and reflection, they're also for living in. Changing and uneven levels, rough stepping stones and zigzag bridges are fun for kids but they're intended more as a Zen, adult experience. Movement is deliberately slowed, with the garden revealed in a progression of serene tableaux designed for contemplation or enjoyment from a pavilion, living area or other contrived locations. 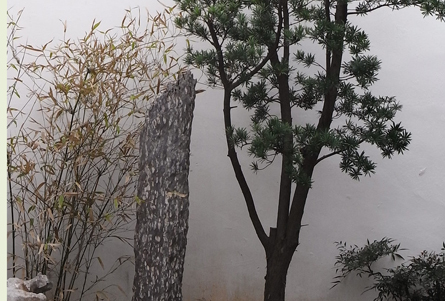 The plants are precisely positioned and inseparable from the hard elements in oriental landscapes. Variety is limited - with almost no plants in a dry garden - but loaded with meaning. A plant is often repeated in seemingly random and asymmetric groups. Subtle shades of green foliage - often dark and textured - set a calming backdrop although the passing seasons are marked with spring blossom, fragrant flowers and brilliant autumn colours. Evergreen shrubs screen away the outside world and draw attention toward focal points. Plant form is important with an emphasis on weeping habits and trees and shrubs heavily sculpted or turned into bonsai. Different conifers, bamboos and mosses feature prominently. 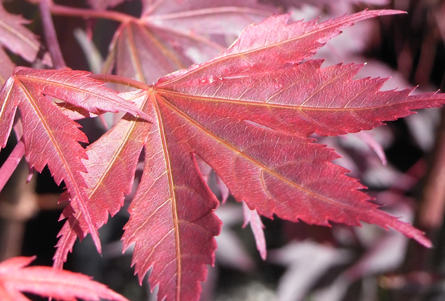 For plants with a taste of the East, limit your search to "oriental" garden style section of the Plant This Plant Selector.